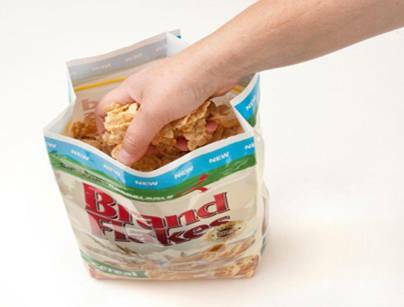 Packaging manufacturer, ITW Zip-Pak, will be showcasing a new level of consumer convenience with the Vector™ resealable matrix at foodpro 2014, Australasia’s largest food processing exhibition. Featuring a proprietary self-sealing matrix that closes securely without exact alignment of opposing segments, the solution provides tactile and audible feedback for reassurance of complete fastening with each use. As the only resealable closure supplier with an in-house equipment division – Zip-Pak Systems – the Company developed the Vector™ resealable matrix for integration into existing flexible packaging lines with only minor modifications to machinery. Zip-Pak also offers extensive consultation to consumer product goods companies and store brands transitioning into resealable flexible packaging or launching new products. A spokesperson for ITW, Glenn Woodworth, explained how the innovative product advances would appeal to food manufacturers. “Self-mating closures are an easy-to-use alternative to traditional zipper profiles and are gaining tremendous traction with brand managers, retailers, and consumers,” Mr Woodworth said. Zip-Pak has combined its exclusive focus on quality resealable closures for packaging and extensive machinery knowledge to design the new Vector™ resealable matrix and application system, ensuring a seamless transition to a consumer-preferred solution. “From shredded and sliced cheese, deli meat, snacks, cereal, candy and vegetables to pet foods and garden fertiliser, Vector™ resealable matrix is ideal for a variety of applications,” Mr Woodworth said. Visitors to the ITW Zip-Pak booth at foodpro 2014 (F39) will be able to talk with staff about how the Vector™ resealable matrix can help their business achieve fantastic results. foodpro is the definitive event for the food manufacturing and processing industry in Australasia. Serving the industry since 1967, the year 2014 will see foodpro come to Melbourne for the very first time. Held once every three years, foodpro provides visitors with an opportunity to meet face-to-face with specialist suppliers and compare an extensive range of ingredients, packaging solutions, as well as food processing machinery and technology all under the one roof. The event showcases the latest global innovations and trends to help decrease operating costs and increase efficiencies. Flaming Hot Twisties are back due to popular consumer demand. Vegemite will be the official ballkid partner of the 2018 Australian Open tennis tournament.